One of the personal projects that I promised myself this year was to build a 1:12 scaled bakery cafe for my miniatures. It's always good to first sketch out your design, but since I have already been planning this in my head for a good 11 months, it is kind of embedded and I did not bother drawing it out. ^ An overview of the materials I used. 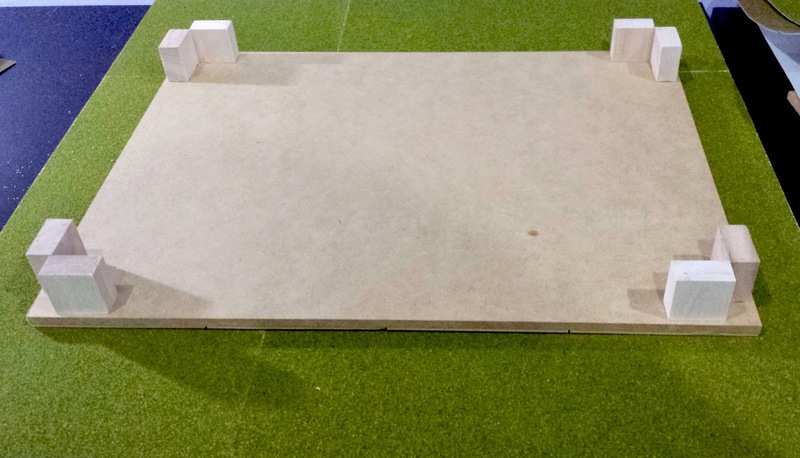 - Grass sheets from Artfriend for the base. The base wasn't that hard. 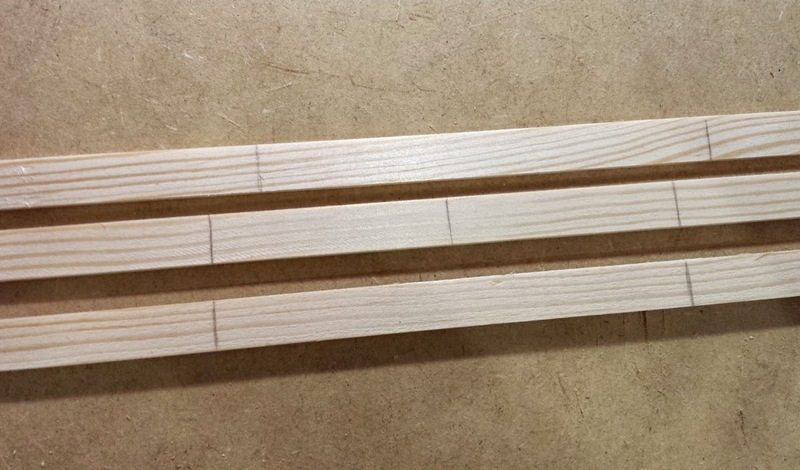 I basically put a few pieces of MDF boards together to form the size that I wanted. 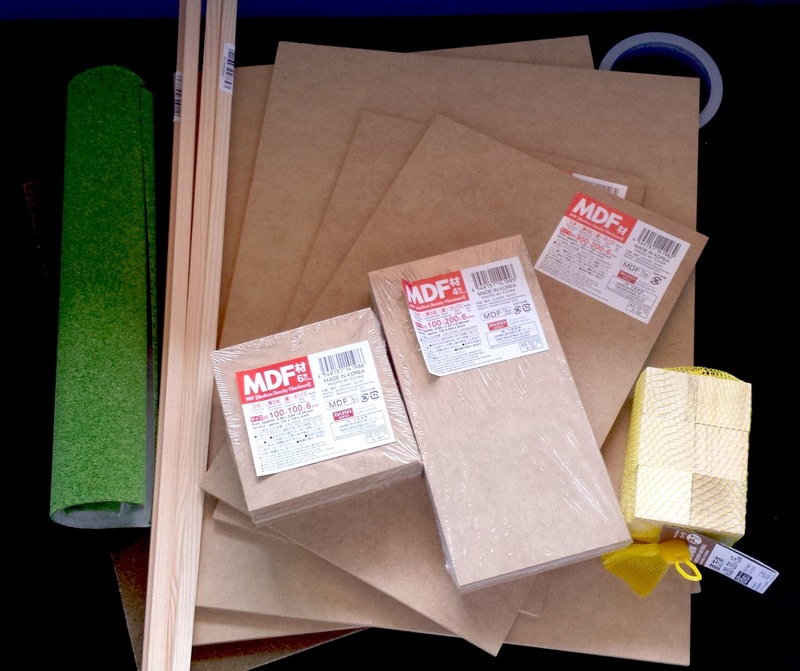 Being the lazy person that I am, I avoided any cutting of the MDF boards at all, simply because they are so thick and it would just be a chore. 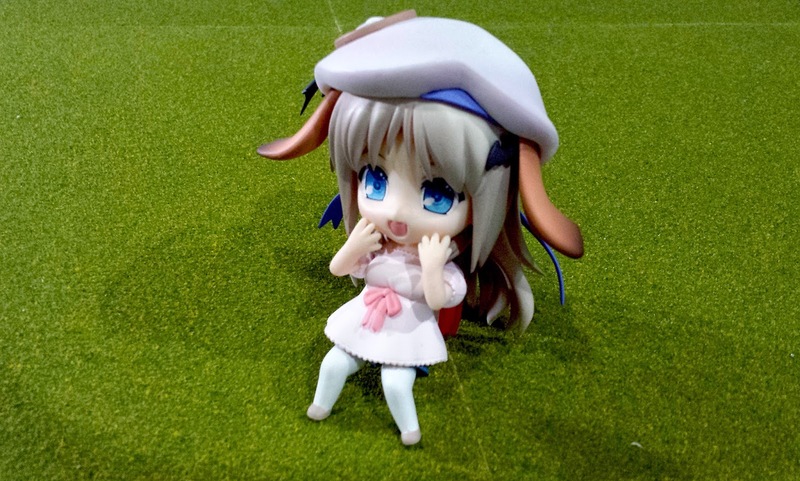 Here's my sister's nendoroid (I have yet to find out her name) enjoying the grass with her spastic expression. The flooring is the most tedious part so far. 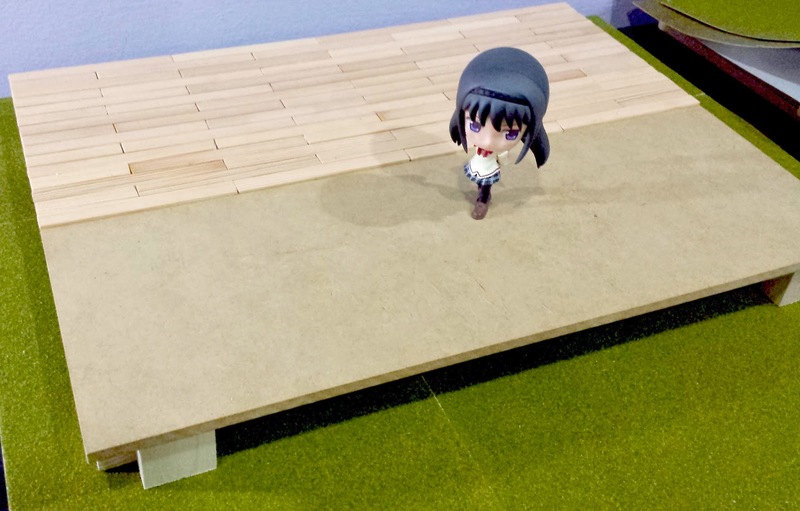 I bought meter-long thin planks (1cm wide) which I hand-cut with a penknife to many pieces so as to build a more realistic looking flooring. 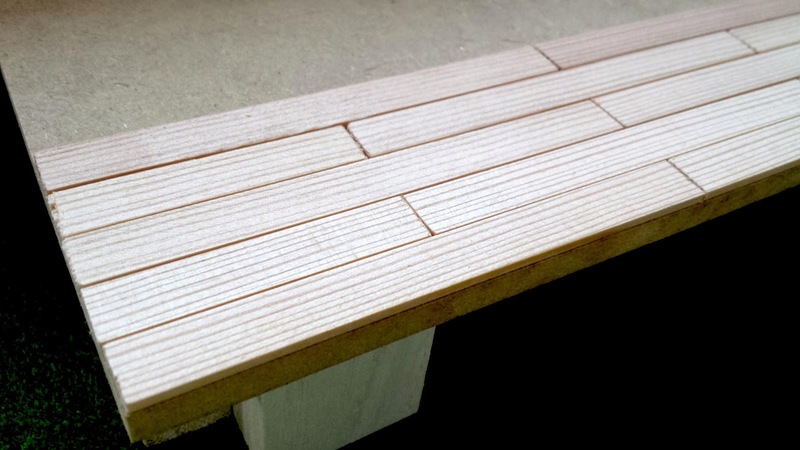 I shall go into more details on how I did the flooring in Part 02! Hey there Silvia (: I'm a fellow crafter too! Wrote an article on my blog at http://thinges.com about affordable Daiso materials for crafting, just wanted to check with you if it would be okay to use one of your images. I credited & linked you back for it! Do let me know if you do not want it to be up and I will remove it ASAP. Thank you!